 The NeoLinear range of professional LED Neon flexible lighting products are manufactured from the highest quality materials and components. NeoLinear is designed for professional installation purposes and is especially suitable for outdoor architectural projects. NeoLinear is highly durable, super flexible and pixel free. NeoLinear Side view series offers the user a full range of single colour temperatures, rich and vibrant single colours along with colour mixable RGB. Designed for both outdoor and indoor architectural projects in commercial installations such as shopping centres, hotels, restaurants and many other applications. The IP68 rating offers full protection against water, salt water, UV radiation and solvents making this product ideal for use in exposed locations and challenging environments such as coastal holiday resorts and theme parks. 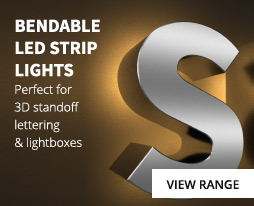 Sideview can be easily flexed left and right (like a snake)(maximum radius of 300mm) so ideal for highlighting around the inside or outside of architectural features. A full range of accessories are available to fix the product and each 4m length has a 1m tail at both ends. 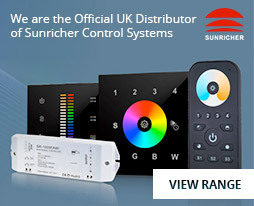 NeoLinear products are fully dimmable and compatible with our range of RF remote and wall mounted controllers including our range of SunRicher control equipment. In addition, we stock a variety of DMX512 decoders so that they can be connected to a DMX system.